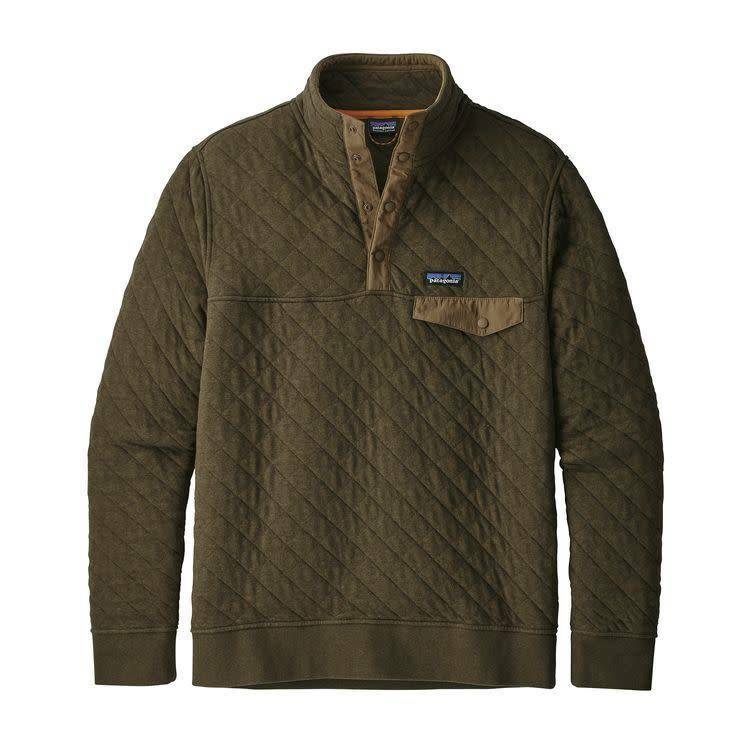 For everyday warmth on the road or close to home, nothing beats the all-out comfort of our Cotton Quilt Snap-T® Pullover. It’s made with a soft organic cotton/polyester jacquard-knit fabric with lofty fill yarns of textured polyester for breathable, cozy warmth. The 1” diamond quilting creates an effective heat-trapping surface and reduces bulk while increasing compressibility. We’ve cut the arms generously with our Y-Joint sleeves to allow unlimited shoulder mobility. The doubled stand-up collar, with a 4-snap placket, blocks breezy weather. Wide rib-knit cuffs and hem seal in warmth and retain shape. Climbing cord hanging loop and inside contrast collar tape brushed for softness.